I enjoy building equipment as much or more than actually operating. Several of my creative endeavors have been documented in various amateur publications. I have provided pictures of many of my recent projects. I have done some unusual things like bouncing microwave signals off of the moon on 10 GHz. The picture shows me at my "nostalgia station", all equipment available new when I was first licensed in 1966. 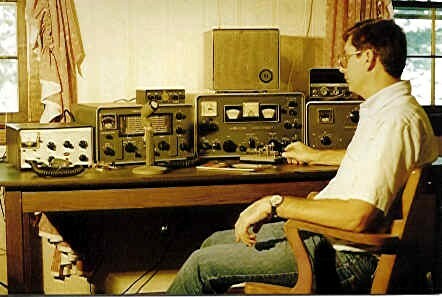 I've been an Extra Class Amateur and First Class Commercial Radiotelephone licensee since 1968. 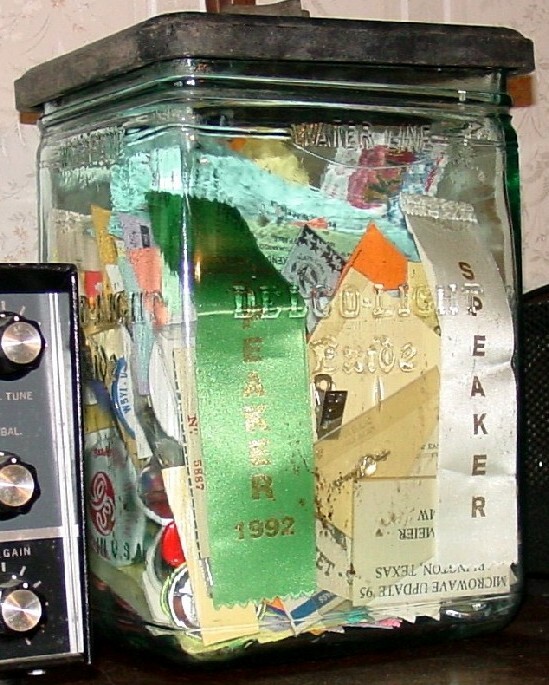 My "glorious" peak of activity was in 1994, when I was Central States VHF Society President and sponsored the Society annual conference in Memphis. Along the way I also obtained an FCC First Class Ratiotelephone Operator License (now General Radiotelephone Operator License). I also hold the Ship Radar Endorsement. I used my license to service two way radio equipment as well as to operate an AM/FM broadcast station (WMPS).